Two sequels starring ancient characters duked it out for box-office glory this weekend. And while it was Marvel's nigh-immortal space prince who came out on top, he had to fight tooth and hammer against the returning cast of a 14-year-old movie. 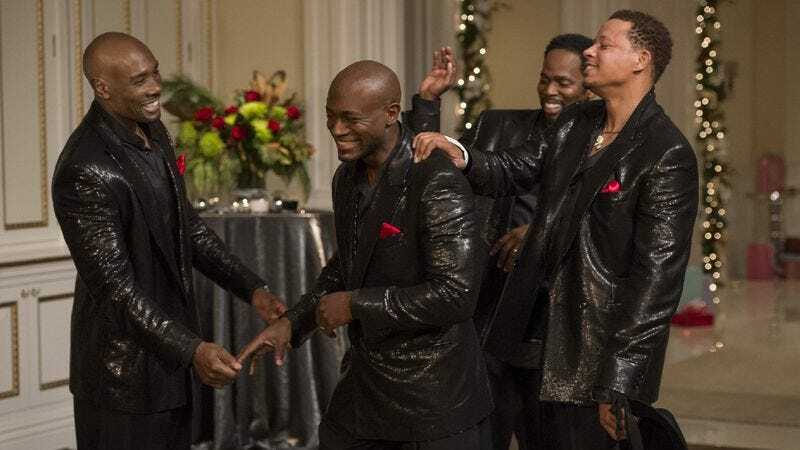 In other words, while Thor: The Dark World grossed another $38.4 million in its second weekend—a tally large enough to keep it in first place—belated follow-up The Best Man Holiday wasn't far behind with $30.5 million (or about three times as much as The Best Man made back in 1999). Being the only new wide-release movie to open on Friday surely contributed to the latter's somewhat unexpected success, though the smoldering presence of Taye “I Almost Got Naked On New Girl” Diggs couldn't have hurt either. And an A+ Cinemascore rating and its Christmas setting bode well for The Best Man Holiday's future box-office prospects. Certainly, it should have a better hold than the second Thor, which lost about 50 percent of its audience in the second week, and will probably lose even more once another part-two installment, The Hunger Games: Catching Fire, barrels into theaters this week. Despite mostly strong reviews, Nebraska had an inauspicious debut, pulling in just $140,000 on four screens. Its lack of big-name stars (and, y’know, color photography) probably contributed to its less-than-robust opening. Likely award nominations may give it a boost going forward. Elsewhere on the charts, the McConaughissance continued as Dallas Buyers Club, featuring the severely slimmed-down Texan, crawled into the Top 12 with $1.7 million on 184 screens. Between this and Mud, it's been a good year to be Matthew McConaughey. Though come to think of it, every year is probably a good year to be Matthew McConaughey.